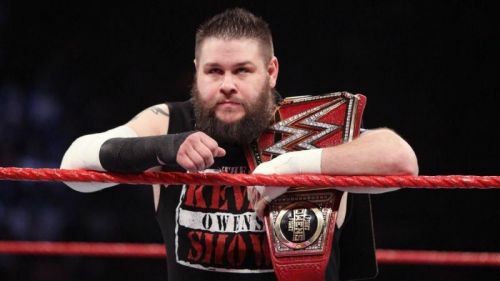 Despite having challenged for the WWE Championship at Fastlane, Kevin Owens ended up missing this year's WrestleMania 35 show and the entire 'Mania weekend that followed. The former Universal Champion has now taken to Twitter and has opened about missing out on WrestleMania 35 weekend. Prior to this year's Fastlane pay-per-view, Kevin Owens made his WWE return after spending about 5 months out on the sidelines. Owens, on his comeback, replaced Kofi Kingston in the WWE Championship match at Fastlane. However, he failed to win the title off Daniel Bryan in a Triple Threat Match also involving Mustafa Ali. At WrestleMania 35, Owens didn't compete in any scheduled match and wasn't even a part of the Andre The Giant Memorial Battle Royal. 'The Prizefighter' didn't even show up on the following episode of Raw or SmackDown Live that followed up, prior to this week's WWE Superstar Shake-Up. Having competed in some high profile WrestleMania matches throughout the years, Kevin Owens missing out on WWE's biggest show of the year was certainly something the WWE Universe didn't expect to see. Owens, for one, also wasn't too pleased about missing out on this year's WrestleMania, and definitely didn't appreciate being left out on the two following nights after as well. The former Universal Champion, however, is now looking forward to this week's Raw and SmackDown Live from the Bell Centre for the Superstar Shake-Up and promised that on his return, the WWE Universe will definitely make some noise. WWE Superstar Shake-Up takes place this week on both Raw and SmackDown Live which is set to take place in Kevin Owens' homeland of Canada. That being said, chances are Owens is rather more than likely to show up on either one of the two shows, and maybe we might just witness him get reunited with the returning Sami Zayn as well.